These are perfect for reading activities, such as guided reading. 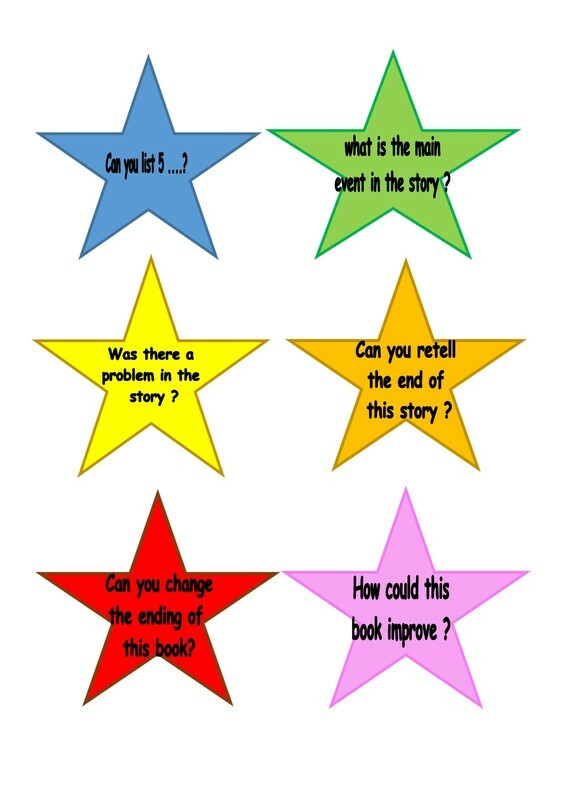 The star questions promote higher thinking and are great on lollipop sticks. Improve your child's understanding and retelling skills in guided reading sessions. these reading activities can be used from ks1 through to ks2 as your child's reading develops their ability to explain and give opinion will widen. download the free pdf files for the free worksheets and use them over and over again in guided reading.